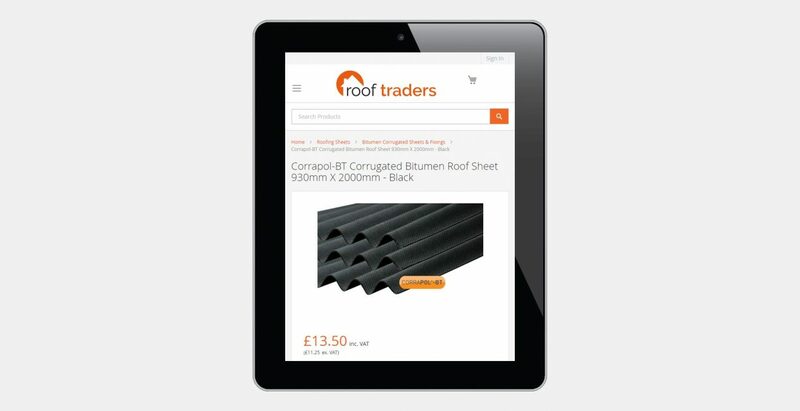 A Magento ecommerce website for UK online roofing merchant Roof Traders. 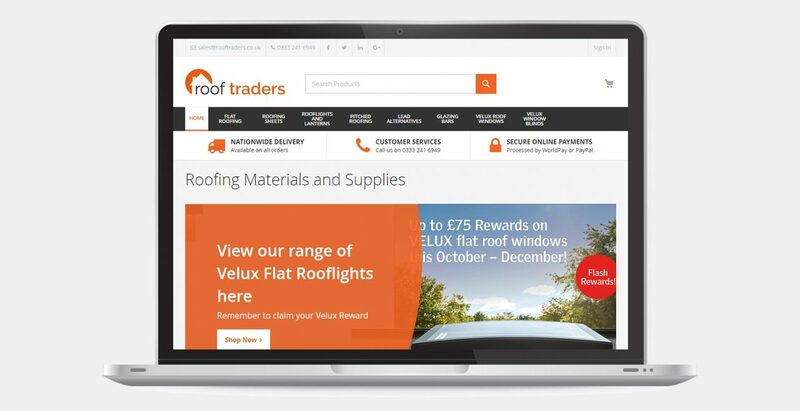 Roof Traders is one of the UK's largest online roofing merchants supplying a wide range of products from leading manufacturers such as Velux, Ubbink, Wallbarn, and Clear Amber. The company prides itself on both the quality of its products and the level of customer service on offer. Roof Traders offer nationwide delivery via their order processing department in Derby. Its parent company Rinus Roofing Supplies is headquartered in Blackburn, Lancashire and has over 20 locations across the UK. 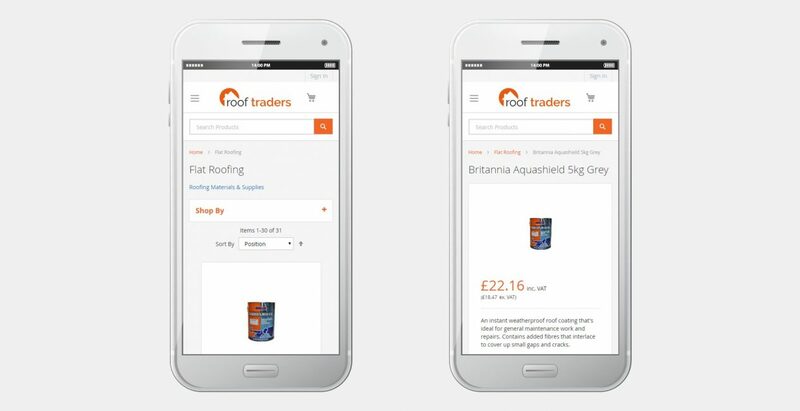 Rinus Roofing Supplies appointed Green Route Media in 2018 to design an ecommerce website for their new brand 'Roof Traders'. 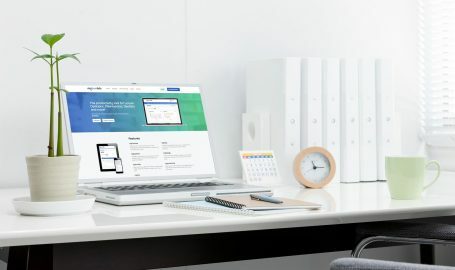 The scope of the project was to deliver an easy to use website that would offer a clean and uncluttered front end experience allowing customers to browse and purchase products directly from the internet. The company also required the ecommerce platform to be easily managed by a team of internal staff. Our solution comprised of a website designed on top of the Magento ecommerce platform. We chose Magento due to its popularity, ease of use and the level of features it provides. A bespoke theme was designed for the new Roof Traders brand. This featured a minimalist design with an uncluttered interface, allowing customers to easily find the products they need. The website was also integrated with the companies existing payment provider in order to benefit from the discounted rates they already had as a result of their in-store card payment facilities. Green Route Media have also provided training and ongoing support for the Roof Traders team. Green Route Media delivered a fantastic, professional website for our company 'Roof Traders'. I have worked closely with James himself and he has provided excellent support throughout and continues to do so. A bespoke Laravel web application for MyLocumHub. 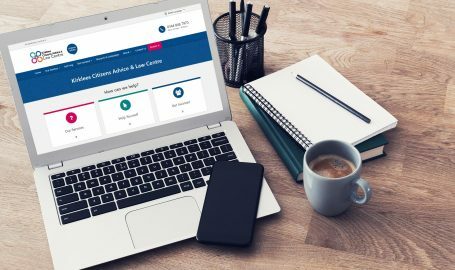 A highly accessible website for Kirklees Citizens Advice & Law Centre. Our themed website design for Unique Bridal Boutique.